It is a unique opportunity to learn from two of the world´s important photographers! As you know the photographic competitions demand superior level in many photographic abilities, like composition, illumination, pose, post process, technical quality, etc. Not all photographers can create surprising photographs and that´s an important point to differentiate you from your competence and attract potential and good clients. The members of the Xpression studio has won the most important international competitions like, The national award in wedding in the United States, Grand Imaging Award, that is celebrated every year by the association of Professional Photographers of America (PPA), the national award of the United Kingdom, by the British Institute of Professional Photography, the title of the best wedding photographer in Europe and the best professional photographer in Europe, by the European Federation of Photographers, Irish national awards, for the best international wedding photographer, by the Irish Professional Photographers Association. (IPPA), with the Best Contemporary of Wedding and Bride Portfolio or the Italian national award in wedding by the FIOF, and the Australian International Aperture Award in wedding. These are some highlights among nearly 600 awards throughout the world. Furthermore they are the only photographers in the world, chosen as photographers of the year in the United States by the WPPI, in the United Kingdom by (MPA), in Europe by (FEP) and the only holders in the world of the International Master Photographer of the Year, the acknowledgement as the best international photographer by the prestigious Master Photographers Association. Do you know any photographer with such achievements? 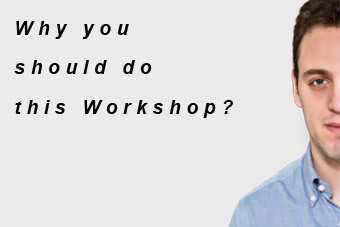 LA - Why you should do this Workshop? 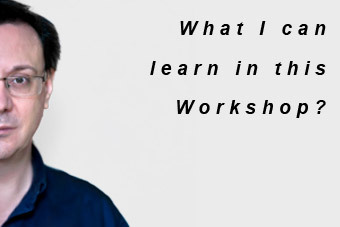 LA - What I can learn in this Workshop?